Lemon cake is always a treat at my house. This lemon cake does not last any time at my house. I barely have time to get the drizzle on and it will be half gone. We love this cake and it can go anywhere anytime. This cake is wonderful for any holiday event or gathering. It is beautiful on a buffet or dessert table and tastes as good as it looks. You can’t beat this cake with coffee served as a dessert and it is also good with milk. It has just the right amount of lemon. You might also like our Kentucky Butter Cake. Lemon cake is a family favorite. Whisk together the flour, baking powder, baking soda and salt in a large bowl. In a smaller bowl using a mixer cream the butter, sugar and eggs. Combine with flour mixture along with sour cream, buttermilk, lemon juice, lemon zest and extract using mixer. Spray a 10 inch bundt pan with cooking spray. Add cake mixture and bake in preheated 350 degree oven for 45 to 50 minutes until center tests done. Remove from oven and let cool for 10 minutes before removing from pan. Once totally cooled at the drizzle below to the cake. Drizzle over cake as in photos. You can also add some lemon zest to the cake on top of the drizzle for decoration. This lemon cake is one you will make again and again. If you love lemon this one is for you! Super easy and absolutely delicious. Perfect for any gathering. Add cake mixture and bake in preheated 350 degree oven for 45 to 50 minutes until center tests done. Remove from oven and let cool for 10 minutes before removing from pan. Once totally cooled at the drizzle. Don’t forget to pin fabulous lemon cake. 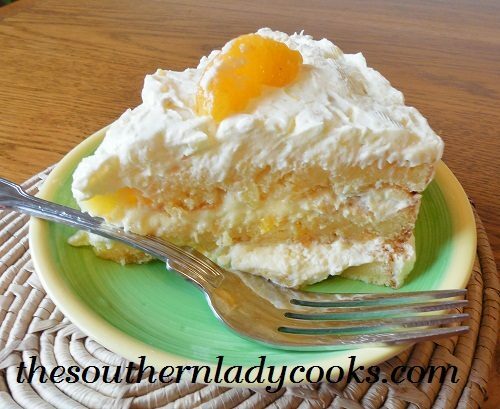 .© The Southern Lady Cooks photos and text – All rights reserved. No copying, posting on other sites, or other uses allowed without written permission of the copyright holder. I can’t wait to try this. Do you think I can add poppy seeds? Sure, I think that would work, Lori. Enjoy the recipe.